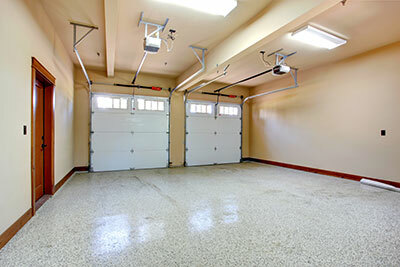 Garage doors, we rely on them to keep our garages clean and our possessions safe. Sometimes it seems they 'conspire' against us by doing everything we don’t want them to. Why does this happen? Why do they break, and cause unwanted operation? Let’s have a look at all the parts that go into an automated garage door. Now that we know what goes inside a garage door, let’s look at the most common problems and how to fix them. Unlock the track from the motor. Open and close it manually and re-engage the lock. If this doesn’t work consult garage door repair company in Shoreline to come and have a look, the springs might need to be re-tensioned. Something might be stuck in the tracks or they might just need some lubricating. You can use common multipurpose lubricant or get your hands on some grease and get to work. There could be multiple reasons why it isn’t opening. Firstly check if the power is out, then simply pull the release rope and you will be able to open it manually. If the power is on and the door is not opening, check the tracks and see if you can find any obstructions. Do not press the button again, you might burn out the PCB board and it could end up costing you a lot of money. Stand under the motor, and see if you can find the limiter. If it is stuck, stop the door and then use your finger and slightly move the limiter. If this doesn’t work then it would be best to phone a professional to come and have a look.